Royal Caribbean certainly has been keeping us on our toes this week! Yesterday they announced some pretty cool innovations that are aimed to impress. 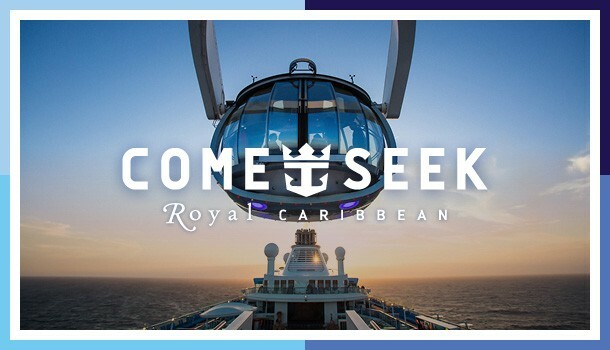 Royal Caribbean recently announced a new app, but in an event on Wednesday, they announced that is promises to eliminate check-in lines at the ports, allow for crew members to better anticipate passenger needs, and lessen their environmental footprint. Royal Caribbean compared the check-in time to the time it takes to order fries at a drive-through. Passengers will be able to skip check-in lines thanks to facial recognition technology that knows who they are when they arrive. “We are finding ways to eliminate friction and frustration, giving guests more time to make the memories that make vacations special"
This technology will be available on 13% of ships by the end of 2017, 50% by the end of 2018 and fleetwide by the end of 2019. These app innovations also apply to the crew. The app-enabled offerings for guests will be mirrored on the crew side. This is done so they can help passengers check-in and complete required paper work in a more timely manner. This also will allow crew members to input the location of passenger's bags, and the ETA of delivery to the stateroom. The new app will also allow crew members to better stay connected with friends and family on land during their contract. Royal Caribbean's chairman and CEO, Richard Fain, made a statement saying, "We regularly earn industry-leading guest satisfaction ratings -- which is first and foremost a tribute to the outstanding work our crews do every day. To continue to improve, we will put more capability to delight and surprise our guests into our crews' hands even as we help them better manage the special challenges of being away from their homes and families while on board." The technological innovations announced yesterday also include advancements beyond the passenger experience. Royal Caribbean announced that command centers will use augmented reality to assist with navigation and maneuvering. Fain commented saying, "Our ships always operate with keen sensitivity to the limitations the weather may impose. But having new means to mitigate the weather's impacts on departures and arrivals helps us uphold schedule and itinerary commitments important to our guests." Another innovative addition includes the crew will be able to track passengers through the new app during muster drill and even during an actual emergency situation. This will allow them to better locate stragglers or missing persons. In an attempt to reduce their environmental footprint and fuel consumption, Royal Caribbean is implementing new technologies across their entire fleet. One of these innovations is a new air lubrication system that coats ship hulls with millions of microscopic air bubbles to reduce resistance and drag. In initial tests of the system, Royal Caribbean said it reduced fuel consumption at speed by seven to eight percent. Another test involved the use of fuel cells for power generation, which would cut back the amount of energy needed from diesel generators. Royal Caribbean will hold fuel cell experiments on existing ships; it also plans for extensive use of fuel cells and liquefied natural gas (LNG) propulsion on its upcoming Icon class of ship. In fact, yesterday's event was powered by a fuel cell that will be transferred onto Oasis of the Seas. At the end of yesterday's event, Schneider stated that a lot of the technologies mentioned are still in the concept phase and that there will be more to come.